Andrew & Natasha – Married! Today’s wedding features stunning details, a gorgeous couple, and one of my favorite venues to date! Andrew and Natasha tied the knot at the end of March and their wedding was just so much FUN! I’ve known Andrew for 11 years now. We met one of the first few weeks of college and have been friends ever since. When we weren’t busy studying, we could always count on Andrew to plan something fun to do. He’d pick a place that he wanted to explore and then we’d all cram into his Jeep and go hiking, sit by a waterfall, or just drive around till the early hours of the morning. (Fun fact: The first time I ever came to Syracuse was when Andrew invited a bunch of us to his parent’s house in Baldwinsville for the weekend!) Needless to say, when Andrew and Natasha asked if I would photograph their wedding, I knew it was going to be a good time! These two are so sweet together. There were so many little things throughout their day that showed their heart for each other. From Andrew’s reaction when he first saw his bride coming down the aisle to the way they both relaxed and laughed during their first dance, their love for one another was incredibly evident. Here are a few of my favorite moments from Andrew and Natasha’s Cracker Factory wedding! 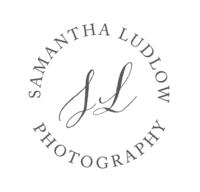 Samantha Ludlow is a natural light photographer based out of Syracuse, New York. She specializes in weddings, maternity, and newborn photography.